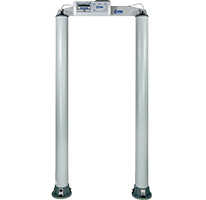 The circular column construction, both attractive and compact, allows it to be inserted with ease into public environments such as, for example, schools and discotheques. 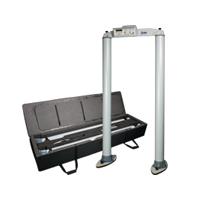 The Classic Metal Detector has an extremely competitive price/performance ratio. 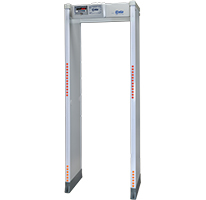 Portable Walk-Through Metal Detector with Transport Bag and no tools required for assembling; ideal for rental and portable use. 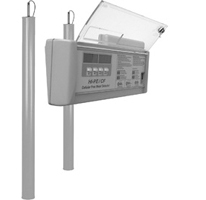 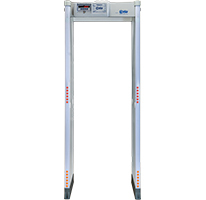 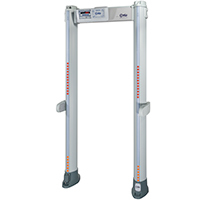 This metal detector is the most used in airlock-type cabin entrances: the 02PN8’s high levels of sensitivity, discrimination and immunity have been recognized by the type-approval of many institutions.